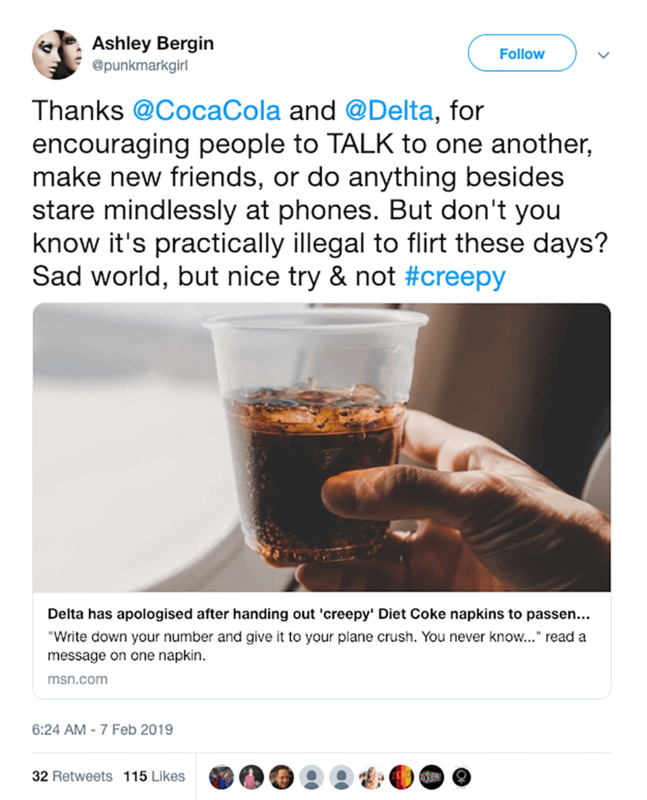 Delta and Coca Cola have canned their inflight match-matching brand gesture after many label it creepy. What was intended a bold and fun has potentially caused brand damage. Far from inspiring hook-ups, it has potentially also fractured the Coke and Delta relationship. Both brands have since apologised for the campaign. 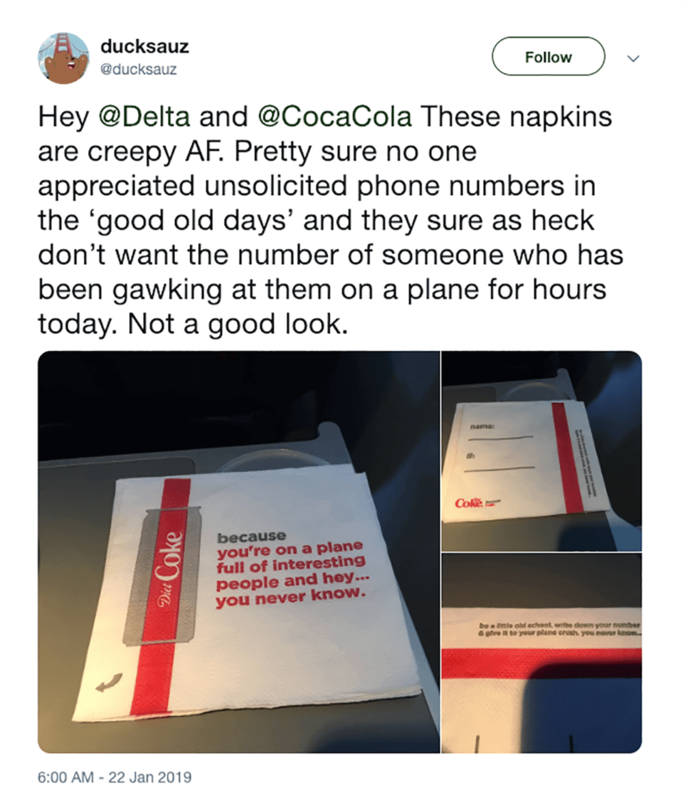 The napkins encouraged passengers to write down their phone number and give it to their their plane crush. Reactions from passengers was swift, with many feeling it was in poor taste. 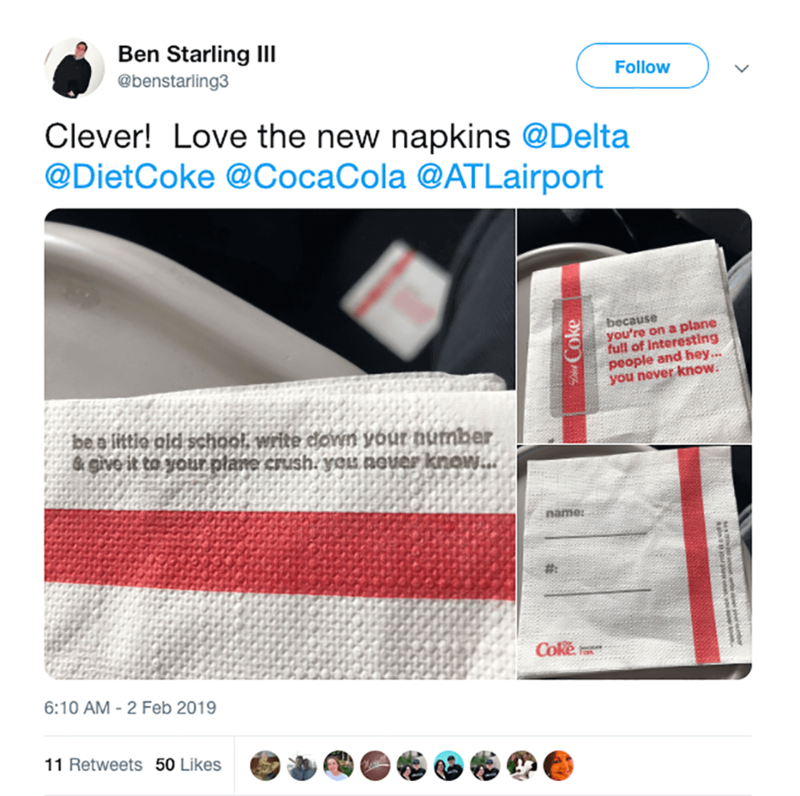 But amongst the outrage, there were also passengers that appreciated the ‘clever’ gesture and called out what they see as a ‘sad world’. Once again, social media is being used to call brands to account. But it’s often hard to dissect whether the negativity is just from a noisy few who incite others to jump on the bandwagon, or a true reflection of public sentiment. 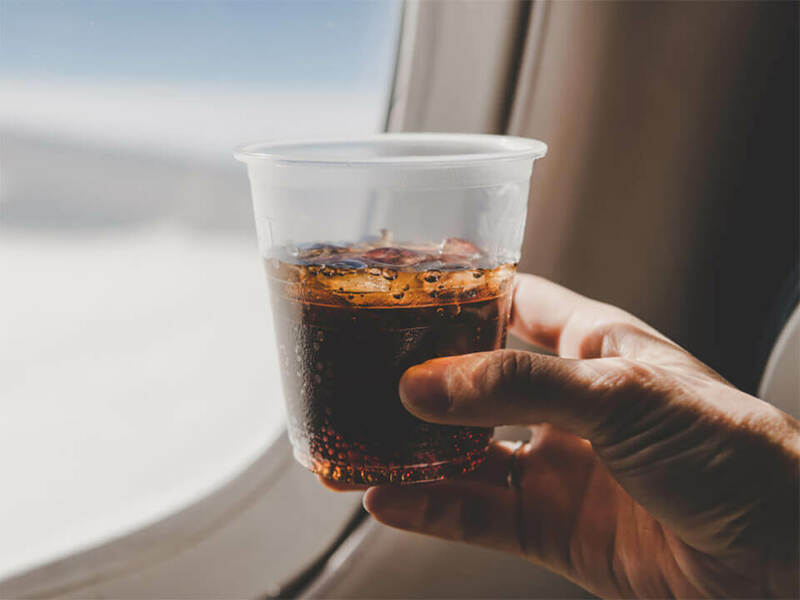 In this case, Coke and Delta seem to have decided it’s not worth any further risk to their brands. Or have they? Maybe this is not a misguided brand gesture after all. The campaign has now gone viral. 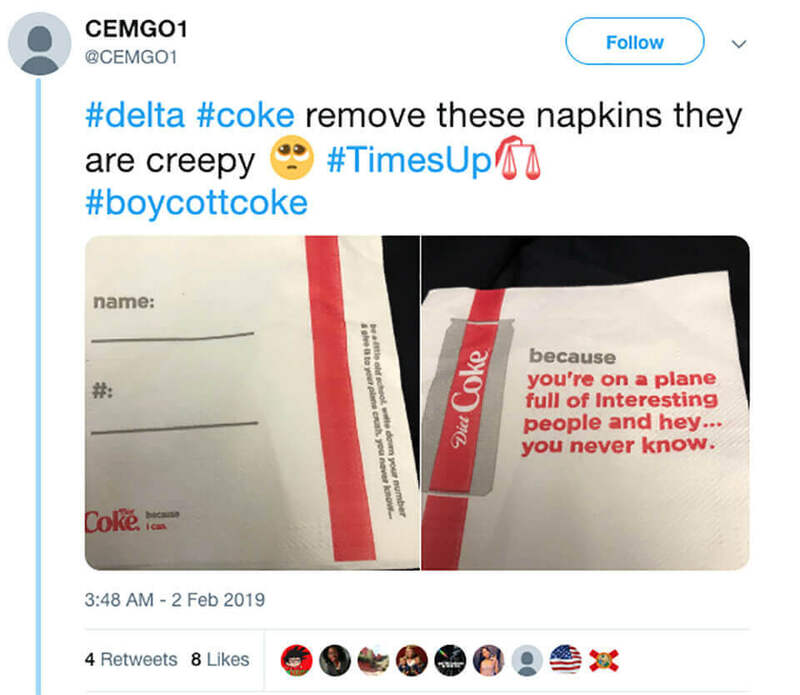 Perhaps this was all part of the plan to get people talking about the Delta and Diet Coke brands again.